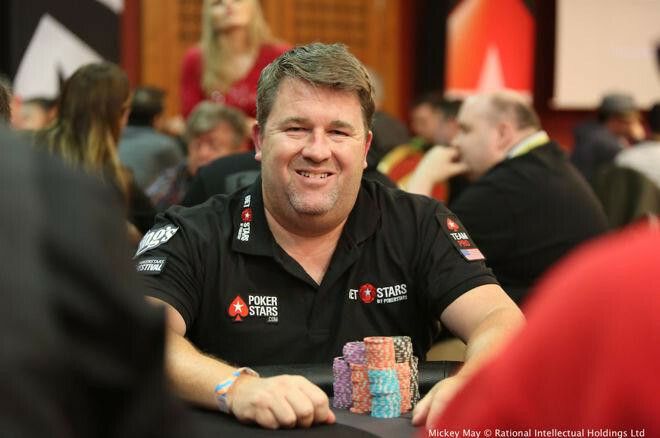 Christopher Bryan Moneymaker burst onto the poker scene in 2003 when he won the World Series of Poker (WSOP) main event. Because he was a relatively inexperienced poker player at the time (he qualified on an online poker site), he shook the poker universe by becoming a world champion and winning the grand prize. His unlikely win has had a revolutionary effect on poker that the media has dubbed the “Moneymaker Effect”. Newswriters argue that this singular moment in gaming history has been uniquely responsible for bringing thousands of new players into the fray and boosting online competition. In short, Moneymaker’s 2003 win fostered the notion that on any given day—with a lot of hard work and a little good fortune—anyone can win the WSOP. 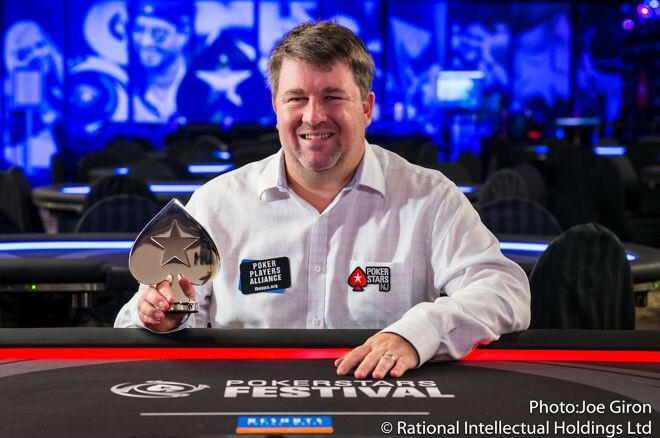 Having the most marketable name possible for his future profession, Chris Moneymaker was born in Atlanta, Georgia on November 21, 1975. The story goes that his lineage can be traced back to forgers of gold and silver coins; as such, his forebears cleverly changed their last name from “Nurmacher” (of German origin) to “Moneymaker”. After attending the Farragut High School in Knoxville, Tennessee (and graduating at the top of his class), Moneymaker garnered a scholarship to the University of Tennessee. After six years, he earned both bachelor’s and master’s degrees in accounting, which explains his prowess with numbers. He then applied his master’s degree by working as the comptroller for a small chain of Nashville restaurants. Initially, Moneymaker did not consider spending his life playing professional poker. Once he entered his first marriage and became a father, his primary concern was dedicating himself to his loved ones. He only played poker as a hobby with his friends once a week—although he did occasionally play online on the PokerStars website. He would have been perfectly happy to live a modest lifestyle, but eventually found himself frustrated by ever-increasing credit card debts and other obligations. Moneymaker was still working as an accountant when he won a seat in the main event of the 2003 WSOP by participating in an $86 online satellite tournament hosted by PokerStars. It was the first live poker tournament that he had ever participated in, and he was competing against 838 of the greatest poker talents on the planet. Although Moneymaker was not a well-known player at the time, his abilities caught the eye of professional sports handicapper Lou Diamond, who declared that Moneymaker would be his “dark horse” pick to win the entire tournament—and he was right. An interesting (and pivotal) fact is that Moneymaker began the satellite tournament by losing on purpose, with the intent of winning the fourth-place cash prize of $8,000 (the top-three winners would earn a seat at the WSOP main event). But a good friend convinced him to go for it all, stressing that the WSOP was a unique experience that shouldn’t be passed up. Moneymaker took his advice, and his life has never been the same since. The story of how Moneymaker turned his $86 stake into a mega first-prize win of $2.5 million is the stuff of legend, and it instantly launched him into the stratosphere of poker superstardom. After his 2003 win, he (predictably) quit his accounting gig and decided to make poker his full-time job, including becoming a spokesman for both PokerStars and Harrah’s Entertainment. 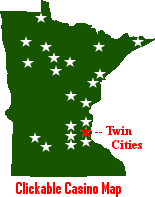 He also founded his own company, called Moneymaker Gaming, and increased his travel schedule (which hopefully included Minnesota casinos) so that he could play in a greater number of tournaments for higher stakes. Since his 2003 WSOP coup, Moneymaker has earned over $3.7 million in live tournaments alone. Also, at the time of writing, he is currently sponsoring his own coast-to-coast tour, which gives his biggest fans the opportunity to play poker right beside their idol! Moneymaker is very generous when it comes to donating to charity, but his humility makes him reticent to boast about the specific dollar amounts he donates to various causes. The Humane Society, which is a leader in providing services to animals in need, is one of his preferred charities. Moneymaker also donates regularly to Autism Speaks, which is a foundation that has particular resonance with him, due to personal experiences. Moneymaker published a 2005 autobiography entitled Moneymaker: How an Amateur Poker Player Turned $40 into $2.5 Million at the World Series of Poker. The title of the book invokes an interesting side note. It appears that Moneymaker incorrectly recalled that there was a $40 buy-in for the PokerStars satellite tournament; however, the dollar amount was actually $86. In any case, since publication, the book has sold over 40,000 copies. Furthermore, as the editor-in-chief of All In Magazine, Eric Raskin compiled an oral history of the 2003 WSOP main event (also titled the “Moneymaker Effect”), which included commentary from three dozen top poker personalities who played a part in Moneymaker’s historical feat.